We’ve traveled around India non-stop for the last few weeks, spending only 2 out of 20 nights in the same bed. Not knowing the state of your next sleeping place (location and/or cleanliness) can be a little unnerving. Your travel dreams can quickly turn into a nightmare when you walk into a dingy hotel room where the sheets were washed a week ago, or when you see or hear cockroaches, mice or purring mosquitoes looking for their ideal landing pad. Have I lost you yet? But with your own personal cocoon, you can make anywhere bearable for one night’s sleep. Here we have finally found the ultimate sleeping bag for around the world travel. 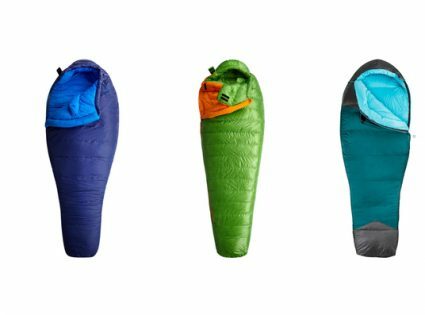 A silk sleeping bag liner is great in cooler climates as silk is an insulator of heat, cotton ones are just as comfy but they take up a lot more room in your pack (and weigh like a brick too). On the train, we were mainly in 2AC carriages which blast out icy-cold air 24/7, so the Silksak was perfect. It even came in handy when I needed to change clothes – privacy on the trains was quite rare unless you scored a side berth, and you need to be a Cirque du Soleil performer to get dressed in the train toilets. EVERY night for the last few weeks, I’ve been snuggled in my Silksak, a silk sleeping bag liner from New Zealand. I was kindly sent a SilkSak to get me through the all-mighty Great Circular Indian Railway Challenge, and boy did we need them. I clung to the standard Silksak because of the subtle elastic at the top that keeps you cozily inside the sak, whether it be up to your waist, shoulders, neck or totally enveloped. And that’s the other bonus – I’m 6 ft tall and I had to room to spare! I also got to try the YHA Pillow Silksak which is a lot longer because it extends into a pillowcase as well – 2 birds with 1 stone. Love it. Overall, I’m looking forward to pushing the Silksak to its limits on the Gobi 2011 Desert trek. For all of those planning to, or about to, embark on a RTW journey, a sleeping bag liner is a great alternative to a fat and heavy sleeping bag. Travel lighter and enjoy the not-so-pleasant moments with a Silksak.